This is the website of a small nursery in the town of Sequim, WA. A brief exploration of what I have to offer. As a retired Nurseryman who loves plants, bonsai and propagation I welcome you to my online store and hope you will find a way to visit the premises. As Skyline Nursery I have been growing and propagating plants locally since 1982 and hopefully I am starting to get the hang of it. The ‘article’ content of this website are mostly mine and sometimes involve a bit of humor. EDIT ON Christmas Day 12/24 17 after a message I received. To explain, and perhaps be a bit offended. The Nursery is closed, dead, finished, KAPUT – The neglect is a result of near a decade of ever increasing disabilities which I have been dealing with. Last summer I FINALLY felt well enough to work on my barn. Serious work. Painting, wiring and the laying in of new doors and windows. This place is NOT vacant, it simply has suffered for want of helpful friends. With a stroke or ‘Whatever’ I have – Three Dr’s say “I have no clue” and it took five months to finally get referred to a neurologist who feared I had a stroke. An exercise appointment finally made. Ten years ago I suffered the freezing up and mobility loss of my left arm. Heck – I adapted. Was a one armed gardener. Now with my entire right side messed up I have to acknowledge that the Almighty has finally sledge hammered me into realizing– NO more Nursery. There are no plants available here, the site remains open for INFO only, but do not come here looking for plants at a distress sale price. Have had to deal with that before. This site hopefully will remain helpful and perhaps a reflection to all who will fall into my shoes. I am most proud that I had time to do a lot of rock work as shown in a Riverine Garden. A landscape I did based on a river and a very Zen like employer. Do check out the description of its winter construction. I miss Jim very much – things would be different had he lived. Looking back at this old page – that is so very, very true. We seem to garden with ego’s and agendas rather than realizing that the earth we share should ever be preserved by hard tilling and the investiture of sweat and labor towards later and greater rewards . Investments that our children will be reaping long after we’re gone … and in that sense the garden provides one with immortality stretching out to future friends yet unknown who in their own ‘circle’s-turn will take wonder at all you’ve done. I will post the rest on my About Me page. I continue to enjoy the response and all the contributions from my former customers and friends – thank you! My Recipe Pages spiced with Politics and Genealogy are here. 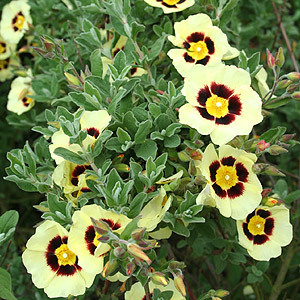 Browsing around on Sequim Plants – I really like it. Lovely photos and interesting content. I look forward to read more on this site. Thank you for adding my link. I have taken a respite from the blog and have begun identifying plants I have for sale. Should we ever get out of this river of rain I should be okay. A rise in daylight hours means very little if there is no light or heat degree temperature associated with it. Very damp and gray. May The Green Nook prosper. I doubt any of my cactus are going to disappear soon and they are shippable. The large Opuntia could have pads removed (cuttings made) to fit a large or medium size flat rate box. Four pads per box. This would have to be a separate ship as they would be heavy and would crush the smaller ones. Those could easily go into smaller boxes. Mind you, shipping would be REGIONAL so regular mail would be fine and very affordable. Thinking that over (and after my first cup of tea) I could also bare root some of the larger ones and ship them intact. A three to ten pound box Regional Rate Box B would be 6.16 to Tacoma. Even a larger box of 16 inches by 10×10 would be $12.12. One – two day delivery. So far I could not find a regular postage rate, but my zip code is 98382. Sorry, I do not get in the traveling mood often and am mulling over a trip (ferry) to Stanwood to buy some Sarracenia from someone. Might have to work on car first. I am interested in ordering plants that would not only produce beautiful foliage but also survive in southern California. Can you please email me with options. I have given up on mail order and dealing with phyto requirements for CA simply is too expensive for me to deal with. May I suggest you consult a great book by Jones and Sacamano ‘Landscape Plants for Dry Regions’ and look for a decent local nursery that may be willing to special order items they may be unfamiliar with. In my experience L.A. area had really crappy nurseries not much better than box stores. You might be as well off dealing with Universities that deal with horticulture. Many of them have active plant sale areas, or if not have annual plant sales. 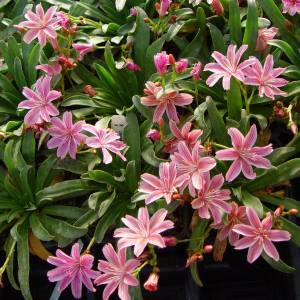 Arboretum and Garden Club sales are also a good way to find unusual plant material. Finally, just do a walk about and if you see an outstanding garden take the time to stop, compliment them and ask questions. Often you might get a plant start or cutting that way. “And by cistus do you mean Rockrose” YES! 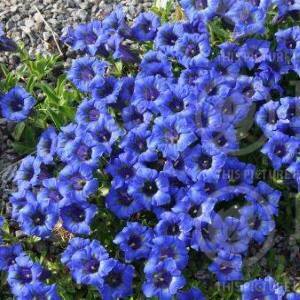 Usually these lovelies are bush form and vary in foliage form. although there is also a rare form called Cytisus battandieri that actually can become a small tree. Wonderful pineapple fragrance! Certainly a plant to obtain. Rockrose and Sunrose. Somewhat confusing. 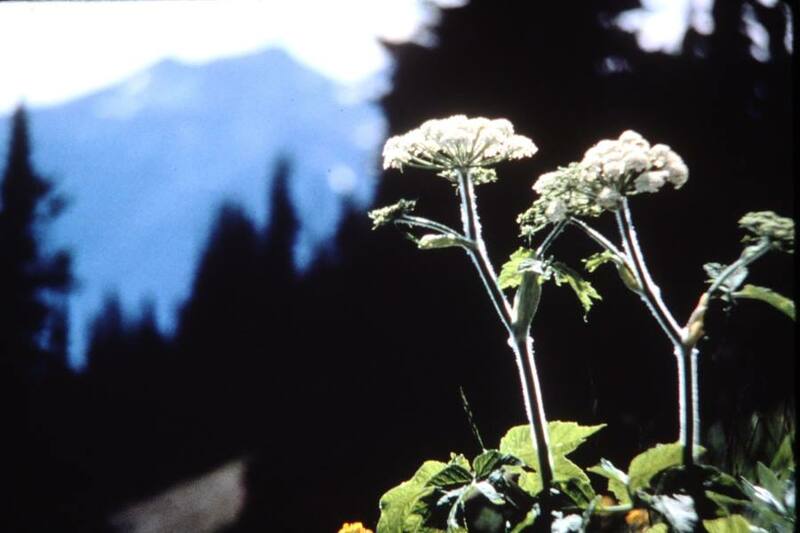 Helianthemums are but one member of the Sunrose family which belongito Cistus – actually Cistacea. ALL are Northern hemisphere plants and the name .Helianthemum is from the Greek helios suggesting sun and anthemon meaning flower. Thanks David, still working on my health issues. Finally got the doctor to approve of a metal screen of my blood to add to the batch of others. to enjoy with ease and those that will present him better odds of winning.